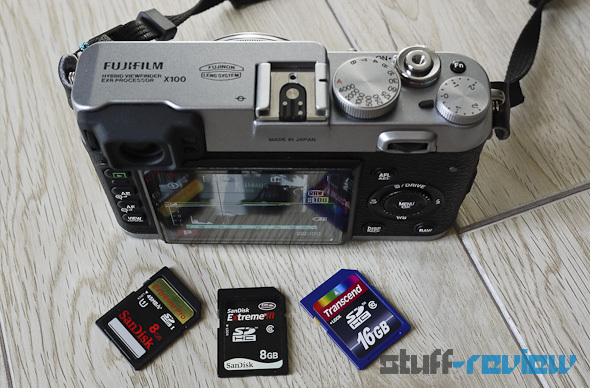 With regards to startup time, SD card speed plays a subtle, yet important role, if a few tenths of a second matter between getting the perfect shot or nothing at all. 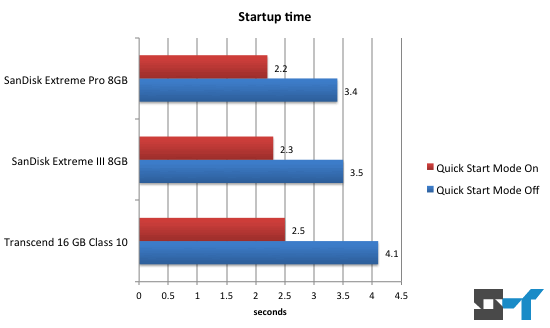 There is no surprise that enabling the quick startup mode results in a considerably shorter startup time of 2.2 seconds, with the fastest card. It makes sense to have the quick startup mode enabled and carry an extra battery if you are out and about shooting. We haven’t been able to test the extra drain on the battery of having the mode enabled, as this will depend on a number of variables, such as how many times you switch the camera on/off, how long you take between shots, etc. 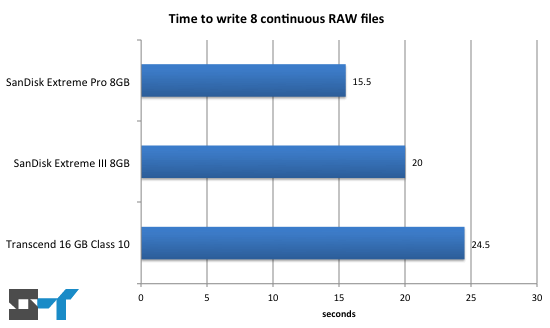 In the multiple RAW file write test, the camera remained inoperable for a whole 9 seconds longer with the Transcend card compared to the SanDisk Extreme Pro. If you rarely shoot in burst mode, then SD card performance is less important; but if you do shoot in burst, then opt for a faster card.